If you remember, a few weeks ago, I wrote about quitting coffee for a few months (read here >> CLICK) due to a whitening treatment that I was about to start. So today, I thought I would give you a little overview of how it went. First things first; I consulted my dentist to get his opinion on the possibility of getting such treatment. Totally recommend doing this first! Not everyone's teeth are the same and what worked for me may not work for you. The goal for me was to get rid of the yellow tones but still keep a natural color, not the shiny Hollywood white, if you know what I mean. 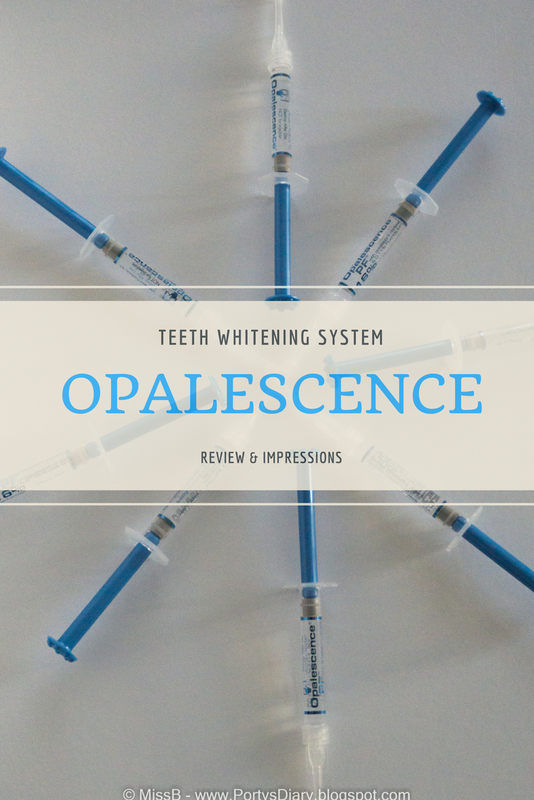 Opalescence gels contain an active whitening ingredient (either carbamide peroxide or hydrogen peroxide) that penetrates your enamel to get to discolored molecules. Oxygen molecules from the whitening agents react with the discolored molecules in your teeth, breaking the bonds that hold them together. The oxygen molecules spread, whitening the entire tooth. As a result, you are left with a brighter, whiter smile. Opalescence Whitening System at 16%. I applied this gel in custom-made trays and let it do its magic for 4/5 hour a day, for 14 days. The first couple of days, my gums were a bit irritated, but nothing severe and certainly no bleeding or whatsoever. Only had to mind to brush off the gel gently after each session without applying to much pressure on the gums. You need about 2/3 of each syringe per session. I also did not experience any sensitivity on my teeth; which means I could just eat or drink cold and hot right after each session! Sorry for the awkward photos, but here you have a before and after. As you can see, I got rid of the yellow tones and now the teeth just look natural. Opalescence offers several options of whitening systems so if you are considering doing so, take a look at the options available and talk with your dentist. For me, this worked just fine and I am very happy with the results. The expensive part of this treatment is to get the custom made trays done; the containers with 4 syringes cost about 32Eur each. In total, I paid 326.45Eur, plus a cleaning prior the treatment (luckily covered by my health insurance). Prices may vary depending on which system you go for and how much your dentist charges to get the custom made trays done. Now the challenge is to keep it up and avoid getting the teeth stained so badly again. Have you ever done any whitening treatment? Let me know in the comments, I'd be glad to hear from you. Another week of this challenge, and this is my simple but sincere homage to everyone affected by last Monday's events. My thoughts are with not only the victims and their families but also with everyone else around the World whose life was affected by such evil minded people. Some closer to us, some further away. We must stand together and strong in times like these, we must not give in to fear. Times have changed and you never know when the evil will strike again. It should be possible to co-exist with people of all beliefs and not attack those who think, act or believe in something else. Diversity is the key. 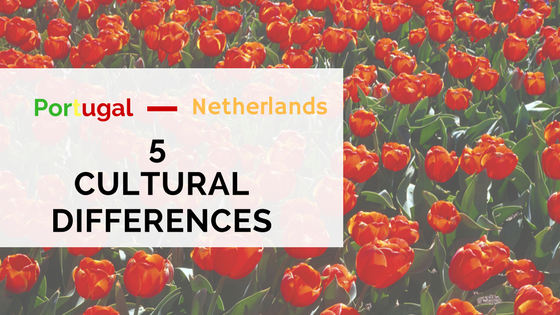 It has also been enough time to realize a few cultural differences between Portugal and the Netherlands. There are more than the ones I am pointing out today, but I thought this would be nice to share with you. In the Netherlands, people wish a happy birthday to the person celebrating his/hers birthday but also to his/her parents, sister/brother, wife/husband, girlfriend/boyfriend, son/daughter, grandparents or anyone in the "inner circle"... Very generous people, these Dutchies. In the Netherlands, you have one warm meal a day and that's dinner. In Portugal, we have two, lunch and dinner. I am that person that keeps having two warm meals a day, no matter what or how many weird looks I get from non-Portuguese people. In Portugal, every street has its container so people can throw their trash away, any day of the week, any time of the day. In the Netherlands that does not exist! Trash is collected once a week, and you put your bags on the street the night before. EDIT: This is how it works in the city that I live; it may differ in other cities. The Dutchies have two Christmas days and two Easter days, but we in Portugal have just one of each. An extra day off school/work is welcome but I'd say one Christmas/Easter day is more than enough though. If you are Portuguese, born prior the 00's, you'll remember that back in the day, everyone would send postcards when it was Christmas. Well, the Dutchies still do that! But more, actually. I promise you that the list could go on and on but for now, I figured these would be nice to share with you. How is it in your country regarding these subjects? Are you on the Portuguese side of the fence or on the Dutch side? None is also a possibility but then, share with me how it is! I would be glad to know. The past weekend was hectic back in Porty-land, and I experienced it right on spot. The Pope was in "town", Benfica won the championship and we even won the Eurovision song contest for the very first time! All this is great, alas, I am not religious, neither a Benfica supporter nor I like Eurovision. For me, it was just another quick stop at home to see a few familiar faces and try to catch up as much as possible. Shortly it was my time to go back, and then I spotted the lovely Cindy; she's the opposite of the remaining 99.99% of the over enthusiastic Salvador's supporters. But make no mistake, quiet or not, with 2 feet or 4 pawns, everyone always wears the flag proudly. Big thanks to her owner for letting me snap a few shots of Cindy. Settings: Sony a6000, ISO640, 294mm, f/4.5, 1/160s. I can't really remember last time I baked something, so when the opportunity arose, I thought "why not?!". Grabbed my tools, browsed for a nice recipe and let's go! Baking cakes brings me back to my childhood, where I would "help" my grandmother with baking and tried to learn a few things from her. It was always a special thing; she knew how to make those heartwarming cakes, simple but tasty. And till this day, still my favorites! For the first time, I decided to use my kitchen robot for mixing up all the ingredients. The process was much faster and smoother. So, I totally recommend it. On a separate bowl, chop the apples in small cubes, add the cinnamon and raisins and let them aside while you prepare the batter. First, mixed the eggs with the sugar, then added the flour bit by bit. then the butter, followed by the salt. At the very end, before putting it on the baking tray, add the mixture of apples and raisins and give it a little mix, with a spatula. Baked at 180C for about 40min, on a pre-heated oven (at 190C). I used the Philips Avance HR7778 Food processor to mix all the ingredients. 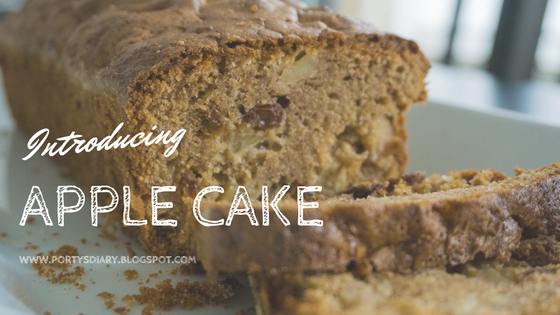 This cake was probably one of the best ones I ever baked and most definitely the easiest one to prepare! All photos taken with Sonya6000. "Hammer it until you break it"
What does Freedom of Speech mean to you? Settings: Sony a6000, ISO100, 24mm, f/13, 1/100s. 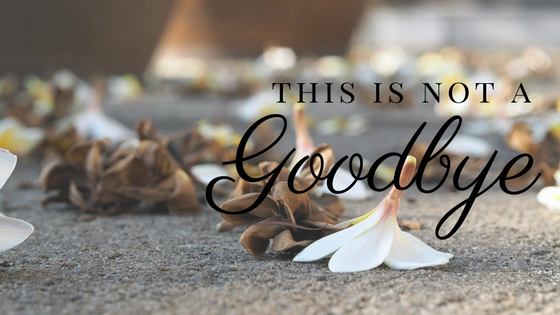 Even though, nowadays, I read several people talking about quitting blogging and so on, and even I had those moments in the past. It has been a week since I quit drinking coffee. Now, if you know me a bit by now, this comes as a total surprise and unexpected. Right? It was indeed a decision I was forced to make and still not happy about it but it is for a worthy cause. Not only coffee I quit, but also, tea, Coca-Cola, red wine or any dark beverages or sauces. Well, I am about to start a whitening treatment of my teeth, and was told by the dentist that all those beverages mentioned above are a "no go" for the next.... 3 months! My journey to get a better smile (and healthier teeth) is technically half way. There are a few things I still must take care of, but it will be all worth it; I am sure! Back to the coffee issue. Today marks the first week without any of those items mentioned and I must say that, even though I miss them, I am coping quite well. But to be 100% honest with you, the first 2 days were HELL!!! Even had to take medicines to be able to function at 60%... Yes, that bad! The problem is: after these 3 months are over, I will get back to coffee. I know it! All because I love it so much... But then, I will face the issue of keeping my teeth white, or else I can just kiss goodbye all the money spent on the treatment (not cheap...). Long story short, tomorrow I get started with the whitening treatment! Wish me luck and send me all your positive thoughts; I am going to need it! Also, if you have ever been through such treatment, let me know your thought/tips on the comments. I will be glad to hear from you! It doesn't mean you're lost. Have you ever wonder where your path is leading you to? I believe the tougher the path, the better the outcome. Settings: Sony a6000, ISO100, 50mm, f/11, 10s. The Summer is approaching and so is the festival season. I love festivals on warm days, not when it's raining and windy. Festivals are a great opportunity to check out your favorite bands and also discover new ones. All this, along side your buddies! Can't get any better, can it?! Throughout the years, I have met so many nice people due to attend festivals, not to mention seen some of my favorite artists/bands. I have been in festivals in sunny days, rainy days, stormy days (like reeeeeally bad storm! ), snowy days (yes... snow! ), indoor festivals, outdoor festivals, you name it. And in all those circumstances, the main focus was the music; the artists, the shows. That's what a festival is to me. There is a reason why such events are called Music Festivals; it's music the main focus of the whole event. Now that another year of Coachella is passed, we can finally get over the post overdose of tons of fake make-up, hippies wannabes, weird outfits, people posing, people attending the "festival" just to be featured on the "Top 10 best dressed" or whatever the f*ck they talk about Coachella. Has anyone actually even cared about the music played on such event? Oh, we know Queen-B had to cancel and all, but what I saw on social media about such event was 98% about people trying to draw attention to them via "my Coachella outfit/look/make-up" crap, and maybe 2% about the performances. Sorry, not my kind of festival! Does anyone reading this has been there? if so, why were you there? Or, would you like to go to Coachella? Are you a festival person? What are your favorite festivals? 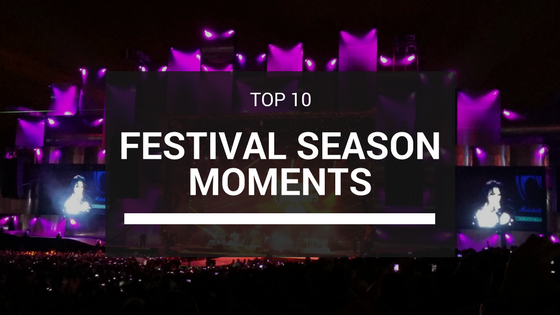 If you had to do a TOP 10 of your Festival Moments, what would be in it?